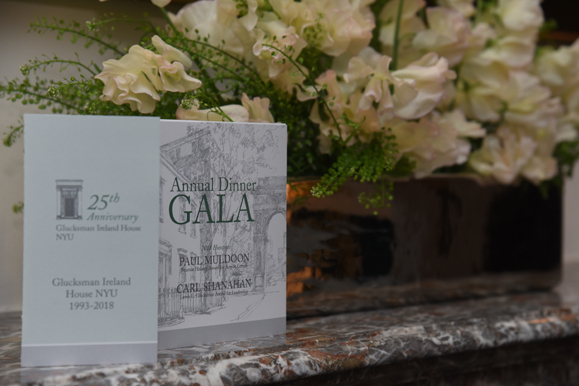 After a quarter century, New York University’s Glucksman Ireland House celebrates its achievements and looks forward to the next 25 years with their 2018 Gala Dinner. 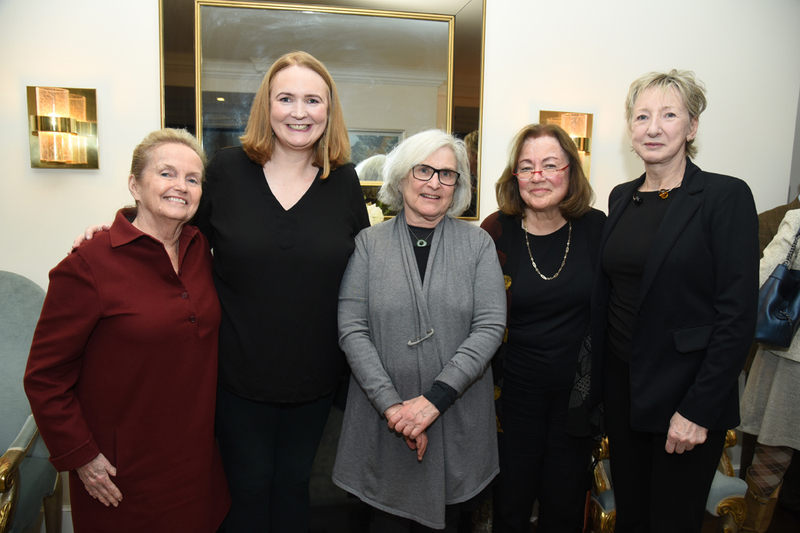 It is difficult to believe it but 2018 marks twenty-five years of Glucksman Ireland House, the prestigious home to Irish and Irish-American studies at New York University. This special milestone will be marked at 6th annual gala which takes place on Tuesday, February 27 at NYU’s Kimmel Center. Honorees Paul Muldoon and Carl Shanahan will be presented the Seamus Heaney Award for Arts and Letters and the Lewis L. Glucksman Award for Leadership respectively. Writer and poet, Marie Heaney, widow of the late Seamus, will be on hand to present the award in her late husband’s name. Loretta Brennan Glucksman will present the award which memorializes the legacy of Lewis (Lew), who passed away in Ireland in 2006. Since 2013, the twentieth anniversary, Glucksman Ireland House has celebrated the accomplishments of Ireland and Irish America by honoring individuals like Loretta Brennan Glucksman, Pete Hamill, Sir James Galway, Peter Quinn, Ted Smyth, Danny McDonald, Colm McCann, Niall O’Dowd and Buzzy O’Keeffe. At the 2013 gala, Seamus Heaney was a big part of the celebration as part of a reflection of two decades of commitment to Irish and Irish-American scholarship at NYU. Last year Sir James Galway silenced the room with his musical magnificence as he reminded those present of the richness of talent that has originated on that rainy little island in the north Atlantic. Of course since its foundation, Glucksman Ireland House has reflected the vision and philanthropy of the late Lew Glucksman and the inspirational Loretta Brennan Glucksman. The quarter century has seen a real flourishing in engagement with Ireland, Irish America, and the global Irish from the elegant townhouse on Washington Mews and Fifth Avenue in Greenwich Village, which many see as an important intellectual home. Undergraduate courses, as well a Master of Arts in Irish and Irish-American studies program, are the main activities of Glucksman Ireland House. But the team who runs Glucksman Ireland House, including leading international faculty, ensures that they transcend the reach of the academy through publications, dynamic public programming, the Archives of Irish America, and the Glucksman Ireland House NYU Radio Hour on public radio. To mark the 25th anniversary, Glucksman Ireland House has curated most of the 2018 public programming as an intellectual homage to its co-founders on the theme of Irish and Jewish interactions. The Glucksmans’ vision underscores the universality of the ethnic experience and highlights all that we learn when we place the Irish-American, Jewish-American, and other ethnicities in dialogue with one another. NYU has the highest number of international students in the United States. So the courses, research projects, documentation strategies, and public outreach are particularly salient to the communities of students, scholars, and members. The Glucksman Ireland House 2018 Gala dinner will be held on Tuesday, February 27 at the New York University Kimmel Center for University Life. Tickets begin at $1,000. Click here for more information, or for further details as well as seating reservations, email ireland.gala@nyu.edu.